Another request from a user to add an easy way to download files using HTTP. 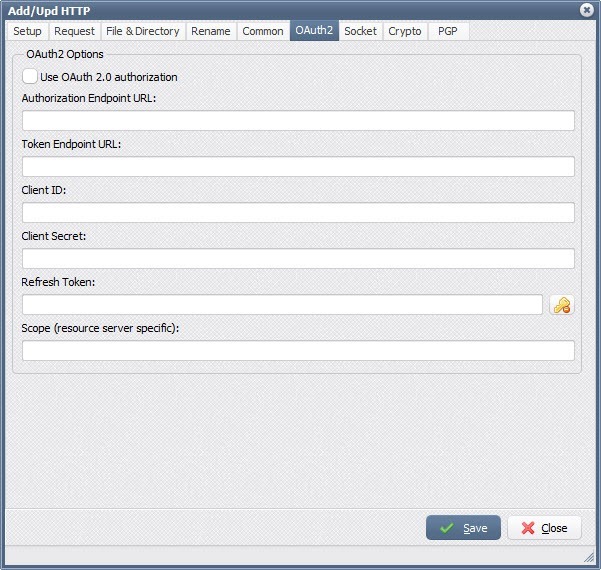 We’ve added a second setup method in the HTTP as Source option. 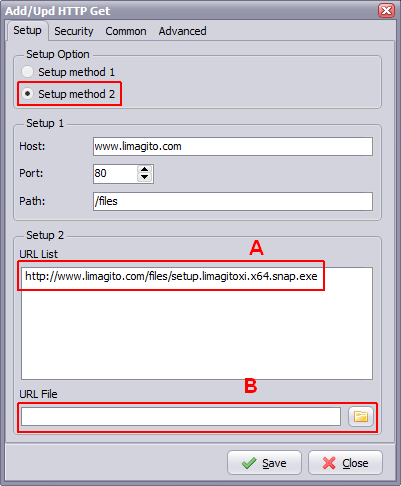 Suppose we would like to download the setup file of our LimagitoX file mover. With the previous method 1 we had to setup the Host, Port and Path and needed to include a file filter to be sure that only this files was downloaded. A bit complex .. so that’s why we added an extra method. When Setup method 2 is selected you get two new ways to dowload files directly. The include filename filter is no longer needed. A. Add the URLs as a list (fixed). B. Read the URLs from a text file (dynamically). In case of B our File Mover will read the URLs from the text file on every Rule Start.